A cruel and unprovoked attack on defenceless animals by wealthy lawyer Barbara Smith has claimed the lives of dozens of former UVic rabbits and family pets of EARS sanctuary manager Susan Vickery in Coombs, British Columbia. On Tuesday September 28, World Parrot Refuge manager Wendy Hurtbach received an irate call from neighbour Barbara Smith, who owns the property bordering the refuge, which is also home to the new EARS rabbit sanctuary for rabbits rescued from the University of Victoria. 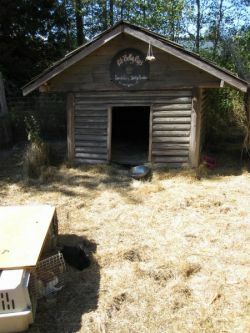 Hurtbach relayed the call immediately to rabbit sanctuary manager Susan Vickery who arrived on the run from Saltspring Island with a load of live traps to catch the rabbits. Despite the fact that only two hours had elapsed since the initial phone call the neighbour chose to let loose with a vicious attack on the rabbits before any attempt could be made to recapture them and mend the breaks in the fence where they exited the sanctuary. Barbara Smith and her husband Rick Coonce are alleging the rabbits had been on their property for days and have admitted that instead of contacting Susan Vickery the owner of the rabbits they chose to instead hire an exterminator to come and shoot the animals. Smith, a non-practising lawyer, and Coonce, a former child-protection worker, went straight to killing the animals, an issue which calls into contention Smith's judgement, her dangerous and aggressive behaviour, her ability to practise law, and her professional standing with the Law Society of BC, of which she is still a member. Vancouver Island has experienced record-breaking rain-fall and wind in the past week, and the fence may have been damaged by this, by vandalism, or some other means. In any case, Susan Vickery and volunteers are repairing the broken and weak spots in the fence and hope to move quickly to construct a second perimeter fence around the sanctuary to protect the rabbits from their hostile neighbours. The Ministry of Environment has seized the bodies of the dead rabbits as evidence and concerned community members hope that charges under the Wildlife Act will be brought against the errant neighbour. The British Columbia Society for the Protection of Animals has also been contacted and charges should be brought against the neighbours for animal cruelty. 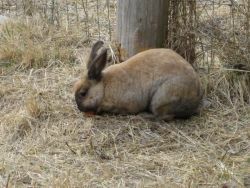 The killing of the Ministry rabbits at the sanctuary is a violation of the BCSPCA's position statement on feral rabbits which does not recommend shooting as a killing method. The killing of Susan Vickery's pet rabbits is a violation of the Prevention of Cruelty to Animals Act which the BCSPCA should enforce in this case. It is no different than killing someone's pet cat or dog...or killing a horse or cow who wanders onto one's property from a legal standpoint. RCMP officers attended the scene several times to gather evidence. There are Criminal Code provisions which pertain to animal cruelty. There are also civil statutes which could be brought to bear on this horrific incident. 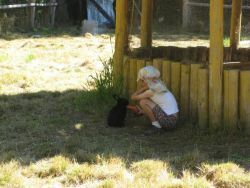 Smith has refused to allow Vickery access to her property to reclaim the escaped rabbits, and Vickery is understandably concerned for their welfare, and about the possibility of rabbits injured in the initial attack lying out on the property suffering and dying without veterinary care. Concerned neighbours approached Smith about arranging a meeting with Vickery to resolve the issue but were thrown off the property and Vickery threatened with trespass if she tried to save her rabbits. Please contact the relevant institutions and representatives and demand they intervene in this matter to protect the rabbits, and bring charges against Barb Smith for her vicious attack on the animals and her refusal to allow for the safe removal of remaining animals. The mere fact that Smith will not allow rescuers access to the remaining rabbits is unacceptable. Smith's quote "I will deal with the rabbits on my land in whatever way I have to." sends a message that more killings are in the plans. This is where the SPCA, the RCMP and the MoE should step in and demand access. But will they. Now I love rabbits as much as the next guy, and I think that the people who had the heart to take in these rabbits rather than letting them get culled deserve all the respect in the world. 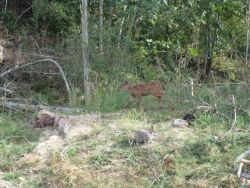 When I heard about UVic's intentions to remove the rabbits with deadly force I was up in arms. Thankfully someone took charge and brought a peaceful resolution to the problem, and those people also deserve gratitude and respect. So when I say that my issue is not with your opinions, I think you'll agree because for the most part I share them. But I'm not sure how you can call this website "Local Independent News" or this article a "News Release" when you have displayed such a clear and sizeable bias. Before I continue, I also feel the need to reiterate that this a comment, a personal opinion, and a constructive criticism. It is not a response, nor does it expect a response. It is not intended to be news, and this very important distinction is one on which my entire comment centers. The questions I ask herein are therefore intended to be rhetorical and the comment itself is intended only as a comment. "A cruel and unprovoked attack on defenceless animals by wealthy lawyer Barbara Smith..."
The definition of cruel in this case is in question as I've mentioned below. Calling it an unprovoked attack on defenceless animals heavily skews the situation against Barbara Smith and implies that Smith herself is a cruel person who deliberately harms small animals. I am also uncertain why the fact that she is allegedly wealthy (I know you know what alleged means because you use it in this article in only one particular instance) has any bearing on this situation. "Despite the fact that only two hours had elapsed since the initial phone call the neighbour chose to let loose with a vicious attack..."
Saying that "only" two hours elapsed implies there is a given time frame during which Smith should wait for a proper response, a response which by all accounts was not immediately forthcoming. You also call this a vicious attack, which is another use of biased language to imply the supposed cruelty and savagery of the culling of these rabbits. "Barbara Smith and her husband Rick Coonce are alleging the rabbits had been on their property for days..."
See, in this case you use the term "alleging", but only when you refer to Smith and her husband's words. In all other cases, the facts of this case given by other parties supporting your bias that this was a "cruel and unprovoked attack" as simply accepted as true, or else coloured with language such as "only two hours" or "vicious attack". "Smith, a non-practising lawyer, and Coonce, a former child-protection worker, went straight to killing the animals..."
You use the term "non-practising" when the truth is that Smith is retired. There is a subtle difference in the meaning of the two terms which you have used interchangably. Retired would make Smith a more sympathetic character, but because you chose "non-practising" it implies that she is still a lawyer, and the connotation of "lawyer" is unfavourable with liberal audiences due to their reputation as greedy and lacking in morals. You also say they "went straight to killing", despite acknowledging at least two hours since the call to Vickery's reserve. This heavily implies that Smith and her husband could not wait to go out and shoot some rabbits. It also implies that Smith and Coonce themselves went out to kill rabbits, when in truth they hired a trapper or exterminator to perform that duty. "...which calls into contention Smith's judgement, her dangerous and aggressive behaviour, her ability to practise law, and her professional standing with the Law Society of BC..."
Who is calling into contention these facts? You are. That is in not, by definition, "news". You took the liberty of contacting the Complaints Office of the Law Society of BC. If there is anyone besides yourself and Complaints Officer Lynne Knights that is calling Smith's judgment, behaviour, ability, and standing into contention, then you should state as such. "...calls into contention..." is an unqualified statement that displays bias against Smith's position. 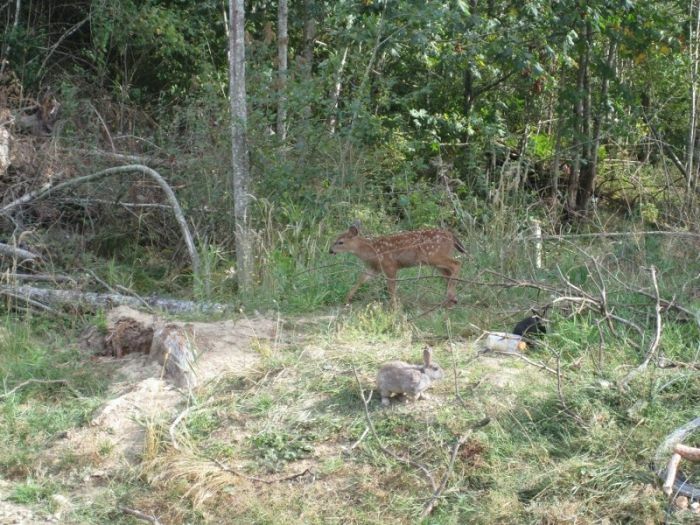 "The killing of the Ministry rabbits at the sanctuary is a violation of the BCSPCA's position statement on feral rabbits which does not recommend shooting as a killing method." 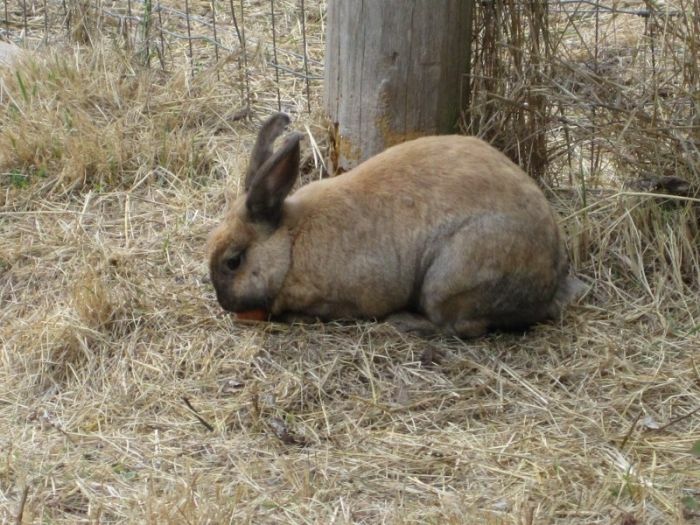 "The killing of Susan Vickery's pet rabbits is a violation of the Prevention of Cruelty to Animals Act which the BCSPCA should enforce in this case." This is also a verifiable fact. It is also verifiably false, according to a statement by Penny Stone, B.C. SPCA Victoria branch manager. I quote from the Times Colonist article on this subject: "...[Stone] said shooting rabbits is considered humane, but she is saddened the property owners did not give sufficient time for the rabbits to be recaptured." If the killing of these rabbits under these specific circumstances is a violation of the PCA Act of 2008 then you need to cite the relevant section. Otherwise, given contrary verifiable facts, it is a false statement. "It is no different than killing someone's pet cat or dog...or killing a horse or cow who wanders onto one's property from a legal standpoint." This is the second most disturbing thing about your bias in this article. This is not a quote from anyone involved in this case. This is a direct quote from yourself, who wrote the article. This is in no way a newsworthy statement nor a verifiable fact. It is a value judgment based on your personal beliefs. Without citing legal precedent, you cannot reasonably claim that this situation "is no different than killing someone's pet cat or dog...from a legal standpoint." To claim such a thing without precedent calls into contentment your judgment as a person, your behaviour as a reporter, and your ability as a writer. You are Roslyn Cassells, the author of this article, and Action for UVic Rabbits founder. From a personal standpoint, I see no more conflict of interest here than a doctor operating on, or a police officer arresting, a family member. Indeed, I assume from a purely theoretical standpoint (as non-theoretically I have called your ability into contentment) that you have as much ability to write a non-biased news article on this subject as anyone, if you wanted to. However, as I have presented, this is not the case. I will use another very specific example. When contacted today, the Law Society of BC's Lynne Knights said she had opened an investigation into the matter, considering the "conduct unbecoming of a lawyer" section of the code of conduct for lawyers in this province. The Law Society of BC has jurisdiction over the behaviour and professional standing of both practising and non-practising lawyers. "We hold lawyers to a higher standard of behaviour than the general population" commented Knights in a phone conversation Thursday (with VMA/with this reporter/with myself). "When contacted today, the Law Society of BC's Lynne Knights said she had opened an investigation into the matter, considering the "conduct unbecoming of a lawyer" section of the code of conduct for lawyers in this province. The Law Society of BC has jurisdiction over the behaviour and professional standing of both practising and non-practising lawyers. "We hold lawyers to a higher standard of behaviour than the general population" commented Knights in a phone conversation Thursday with Action for UVic Rabbits founder Roslyn Cassells. Complaints on this matter can be submitted to the Law Society by fax or by email to professionalconduct@lsbc.org." Secondly, according to the Prevention of Cruelty to Animals Act posted in .pdf file format on the BC SPCA website, page 13, Section 24, subsection (1), "A person responsible for an animal who causes or permits the animal to be or to continue to be in distress commits and offence." According to the same section, subsection (2), "Subsection (1) does not apply if the distress results from an activity that is carried on in accordance with reasonable and generally accepted practices of animal management." My purpose in quoting this section of the PCA Act is twofold. First, you have not quoted any section or subsection of the PCA Act, despite claiming that "[t]he killing of Susan Vickery's pet rabbits is a violation of the Prevention of Cruelty to Animals Act..." It is possible that such a section does exist, but as I said before: because this is a news article, you need to cite that section or else your statement is meaningless, except as an inflammatory gesture. Second, in your haste to demonize Barbara Smith with a misrepresentation of the PCA Act, you have omitted the contrary position that Vickery's neglect in allowing the rabbits to escape her habitat is a possible violation of that same PCA Act. Although this is also a matter of interpretation, it is as worthy of consideration by the BC SPCA as accusations against Smith, and therefore an equally newsworthy statement. Although this is not necessary for the definition of a news article, it is necessary for the creation of a good news article. I believe there is nothing more to be said about this article. If you have read this far then I thank you immensely, and I wish to reassure you once again that my opinion and your opinion of the facts of this case and the treatment of wild rabbits to not greatly differ, if at all. The reason I can say this, however, is because your opinion is so utterly obvious from reading this article. In the future, I hope you are either more considerate with the type of language that you use in writing news articles, or else you clearly label them as opinion articles. What a disgusting vile woman Barbara Smith and her husband Rick Coonce are. They should be shot for trespassing on the rabbits property. This whole story is sad. All the work, time and money to give these innocent creatures a safe haven has been for nought. Killing the rabbits by a woman who claims to love horses (animals?) is sordid. The news of this has gone world wide and if she continues to kill these rabbits it will only be the beginning of the problems she will face. The rabbit "underground" is vast. They are pets gone wild. That is all. 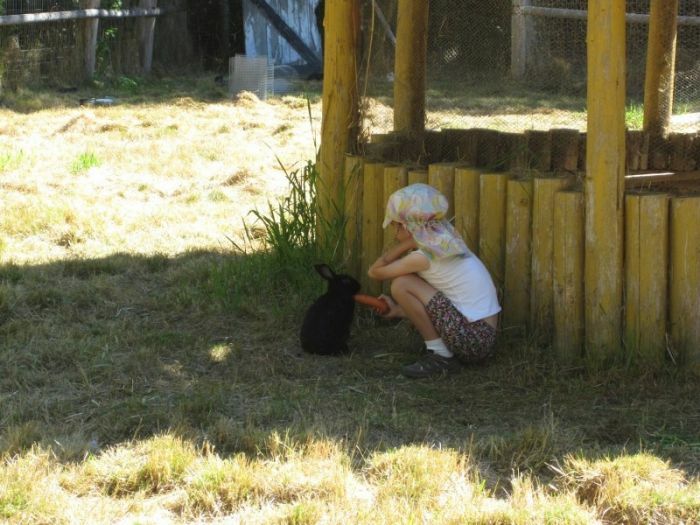 The people who run the rabbit sanctuary are at fault 100%. When they took the UNWANTED Rabbits and brought them to the property did they ask permission of all the people who border the property it was OK . I think not. They brought it on them selves. They took 100% of the responsibility when they brought them and are completely to blame for what happens next. Like a child who leaves the gate open and blames the resulting damage on someone else. Perhaps Ms Smith does not want her property over-run with feral rabbits just like the people who got rid of them in the first place. We don't have a right to tell her how to solve a problem that was thrust on her by people who obviously didn't keep track of or even notice the 20 + ones that had escaped. If the the person shot 20 how many more got away and are now treating the wild stocks. Who is holding the rabbit peoples feet to the fire?? What are the true numbers of rabbits are their so many they cant keep track of ?? Are they overcrowded? What kind of conditions would cause them to seek out holes in the fence . Could they be overcrowded?? Could they be spreading disease to the wild stock?? The people in charge of the rabbits had not a clew as to what is going on. I think Ms Smith did the right thing by stopping all the ones she could as fast as possible before they contaminated the wild stocks. She chose to protect her property and horses, that is her right. If the people who are in charge of the rabbits were doing their job none of this would have happened. Why were they not their in the first place ?? That is the real question not yet asked. The rabbits are unwanted pests that is why they are their. If they were wanted than they would be all adopted out and not running around on other peoples property causing problems. If you want to see what damage feral rabbits can do look to Australia at the rabbits and the cats as well. They should feel lucky they not being sewed for introducing feral stock into the wild and damaging other peoples property and they are guilty on both counts. So if you want to blame some one Start with the people who brought the rabbits and stop acting like they shot some ones pet. Not once have you looked at it from her point of view. She did not come home to a person or persons running around her pasture trying to catch the rabbits or even a note explaining what was going on. No just a bunch of feral rabbits she had to deal with and she did what anyone would do called in pets control.. Funny how quick this reporter went to judge when the bunny problem was not his. .............. Next he will be telling you how to run your life.... Wake up people!! where is the justice? the rabbit sanctuary should be sued for all the damage and cost of removing the pests that invaded her farm. This would include any future cost should her horses need to be euthenized after breaking a leg in a rabbit hole. The lawsuit would be over negligent release of pests. I have seen the video of the fence - what a joke. Clearly the sanctuary has no idea how to contain rabbits! the wire in the rabbit fence has to be sunk at least a few feet into the ground to prevent burrowing rabbits getting underneath. And the huge holes in the aboveground portion clearly show neglect and as such clearly should be found guilty and pay for the remedial costs of the infestation and filling of holes. I say we start a legal fund collection site for funding a lawsuit against the sanctuary! While I am at it, why hasn't anybody commented on the illegal and immoral abandonment of these pet rabbits in the first place? These people who couldn't be bothered to take care of their pets feel they have the right to abandon them and create an ecological nightmare?? C'mon people, use your common sense and see these rabbits for the pests they are and help the farmer out by taking a stand against this silly and misplaced outcry over what should've been done along time ago at UVIC.